This is a perfect recipe for the Christmas holidays! It’s a delicious quick breakfast loaded with healthy fats and fibre that will keep you feeling satisfied until lunchtime! 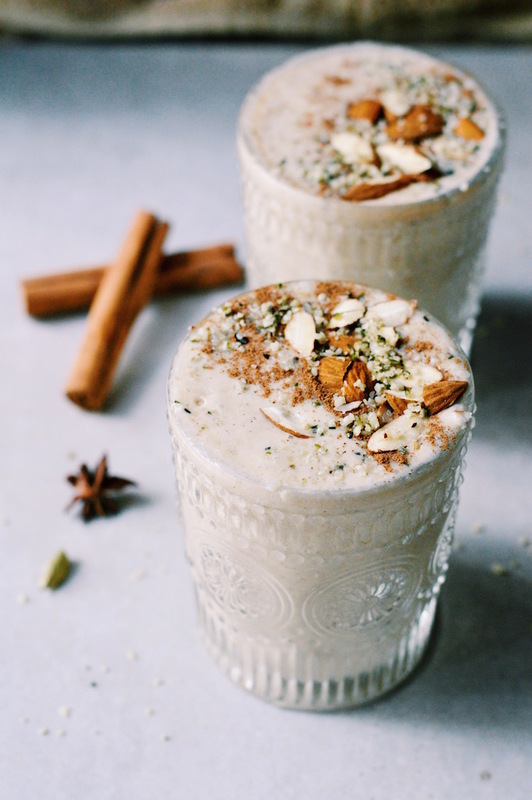 The spices add a wonderful flavour… just like sipping on a vanilla chai latte! 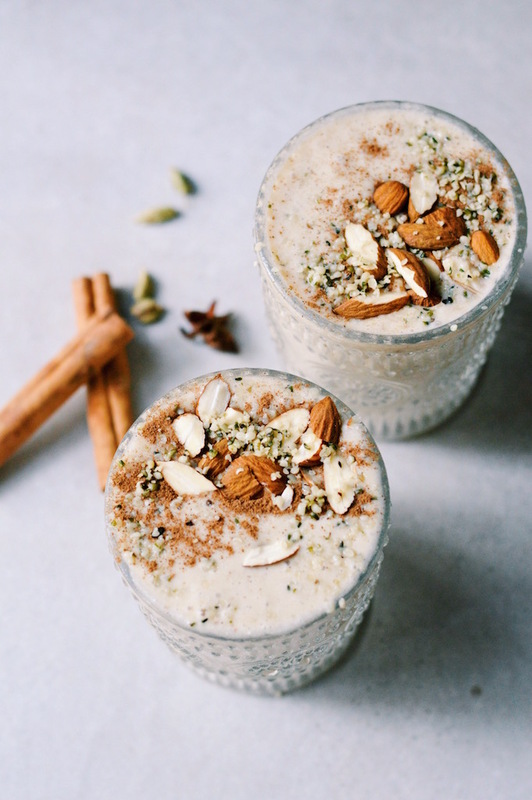 Chai spices have been used for centuries in India for its health benefits and are rich in antioxidants known to aid digestion, improve immunity and reduce inflammation for example. If you are someone with digestive issues (like me) consuming smoothies full of raw vegetables and frozen fruit can leave you feeling bloated. My tip: incorporate these spices to promote healthy digestion, don’t mix too many fruits together and keep it simple! This is a big reason why this recipe has been my go to smoothie for a while now. I have also been adding reishi powder to my smoothies lately and I really love it! Reishi powder is a medical mushroom powder that enhances the immune system and relieves inflammation, physical stress and anxiety. It’s a great addition to a healthy and wholesome diet and I have loved using it for calming my nervous system especially around uni exams! You can find reishi powders at most health food stores – just make sure it’s organic – but if you don’t have any this smoothie is still amazing without it! This looks amazing! What a great way to start your day!